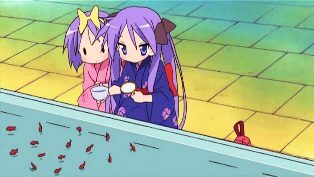 Woot Kagami!! You know you like her. 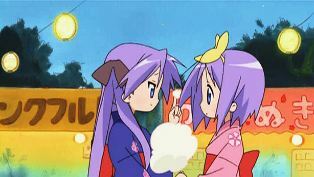 I liked Lucky*Star. 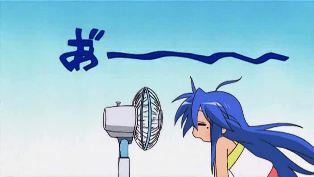 Well, let me rephrase that. 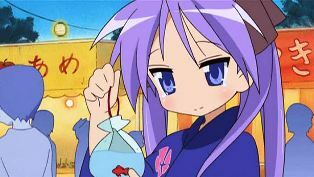 I like Lucky*Star. 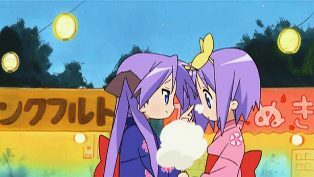 The only problem is that I just don’t have the will to watch Lucky*Star. The first episode was funny. I’m doubtlessly sure that the following episodes got better, but this one just didn’t make the cut when I chose the shows I was going to be following this round. I find myself reading post about the show every now and again. If everything holds true to form, I’ll probably watch the whole thing once it’s over. 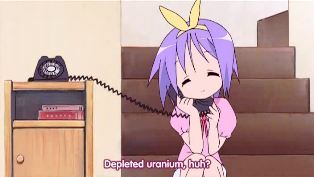 The humor seems to become better with each episode. 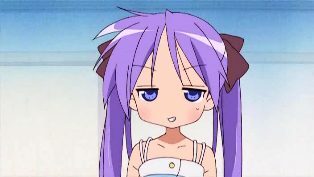 Ep 6 was pretty funny (at least to me), I wonder if that was of the director change.